Who doesn’t want a brilliantly white, stunning smile? If you drink a lot of dark-colored sodas, coffee, tea, or red wine, or you smoke cigarettes or use chewing tobacco, however, stains on your teeth are inevitable. Fortunately, advanced teeth whitening technology is an excellent way to whiten teeth without adversely affecting the tooth structure. While most whitening methods are similar in concept, they may differ based on the way the whitening material is delivered to the teeth or the strength of the whitening agent. While you can go out and buy over-the-counter teeth whitening systems at a pharmacy or discount store, these products are not as potent as professional products you find in a dentist office and are not likely to give you the results you want. At My Pompano Dentist, we use the KöR® teeth whitening system to achieve the best results. Unlike ineffective bleaching lights and lasers, KöR’s proprietary, Dual-Activated, Tri-Barrel™ Hydremide® Peroxide formula and delivery system provide a more comprehensive cleansing of debris from between and within enamel spaces, enabling teeth to absorb bleaching factors quickly and thoroughly. KöR HOME is an at-home whitening system that you wear for two weeks at night while you sleep, with periodic at-home maintenance. The most popular system, KöR MAX, combines at-home whitening with a single in-office whitening visit for maximum results. 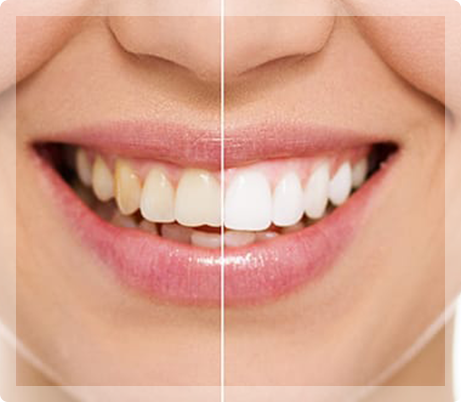 For a dazzling, brighter smile, ask the professionals at My Pompano Dentist about our teeth whitening system. Call us today at (954) 941-2412 to arrange a consultation or use our convenient appointment request form.